Advances in technology are ongoing. If you think you have seen the best, you will be surprised by yet a superior technology to what seemed to be an amazing invention few years back. This is the case in the construction industry. The concept of power tools seems to be taking the day in this area. However, the ability of the power tools is being advanced year after year. Apparently, the tools you bought in the year 2014 could be outdated by now. This is because the industry is under continual improvement when it comes to power tools. The amazing discoveries hope to make the tools better, lighter, faster, sharper, and safer. Power tools have had exciting improvements in the recent past. For instance, all types of people can now handle the powered tools since they come in all designs. This makes it easier for small sized hands to get a firm grip and direct the tools perfectly. The weight is also designed to suit all types of users. Thus, people can choose the tools according to their preferences. Other improvements include the use of lithium batteries instead of alkaline. The lithium batteries power cordless tools since they are rechargeable, lighter, cooler, and long lasting. Brushless technology has also taken over the power tools with the intention of reducing the heat and making the motors cooler. Reduced friction caused by the magnet propellers that do not touch the gears implies that the tools will have a longer shelf life and better performance. Moreover, the current technology creates intelligent tools that are able to sense the type of material they contact. For instance, multi-impact drills adjust themselves according to the material they touch. This implies that one drill will be useful across a range of materials. 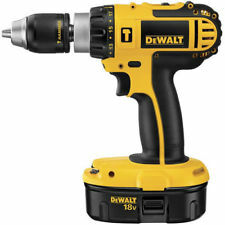 It would be amazing to develop a technology that detects when the power tool touches human flesh and puts it off immediately to reduce the number of accidents caused by power tools. Regardless of the form of improvement, the tools in the market in the year 2016-2017 are quite different from what used to exist before them. Here are examples of the most exciting new power tools of 2016-2017. 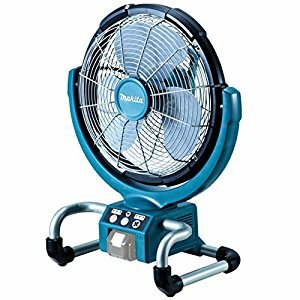 Cordless fans that are powered by lithium batteries are the in thing in the construction industry. They work best in the workshop, being portable and flexible, to ensure the area is well ventilated. This is especially beneficial against workshop dust that is inevitable when conducting such activities as drilling. In the year 2017, more and more powered machines are losing their cords and harnessing the amazing advantages of the lithium-ion batteries. Unlike their alkaline counterparts, the batteries are rechargeable, light and long lasting, making it possible for workers to use the drills without depending on electric power. This makes it possible to work outdoors where getting power connection would be a problem. The models in the market include 12-volt and 18-volt ones. 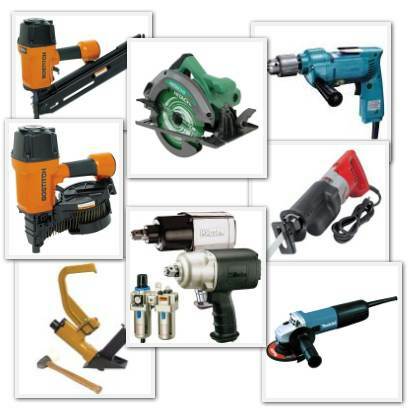 Examples of these power tools include Hitachi Ds18dgl, Dewalt Dcd791b, and Craftsman C3. Hacksaws have been in the industry for as long as I can remember. However, the current ones are superior in every aspect. 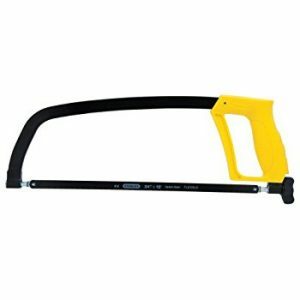 They offer more precision, faster, smoother and easier cuts, and lighter weight than their counterparts do. The mentionable ones that have entered the industry include Nicholson MSA 80975, Craftsman E0101674, and Lenox 12132-HT50. These present added advantages such as possessing an extra blade holder, increased flexibility, better balance, increased thumb rest comfort, and a better line of sight. Dewalt takes the day in creating the best grinder of the year. The new tool has a rugged angle that gives it an added advantage over the rest. The specific areas that were redesigned include the motor, where they increased the copper content by over 40% to increase the strength of the magnetic field and enhance its cooling power. This increases the efficiency of the tool, and the user does not have to exert a lot of effort in guiding the grinder. The grinder is also safer due to the reduced chance of kick back, even when the operator exerts too much pressure. The grinder is also fitted with a dust ejection system to prevent dust from accumulating and reducing the ability of the tool to grind. This further enhances durability and efficiency. The company endeavored to ensure the tool is cooler by eliminating chances of overheating. This solves the problem where some grinders become too hot after continued work, making the operator take a break to let it cool. This is one of the most amazing tools in the market, and users will be happy to use it for a long time to come. This amazing tool took the lead in the year 2017 as one of the most amazing discoveries in the power tools industry. 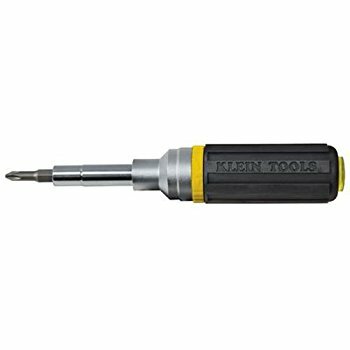 It presents a locking collar that enables easy adjustment of the screwdriver between 4 to 8 inches. The tool also boasts of double heads for increased efficiency. The powered tools are dependent on the latest technology in the market. Innovations seek to solve the problems identified in previous models with the intention of increasing efficiency this is the reason each year ushers in new tools that have advanced capabilities. The list of tools in this article is not exhaustive. 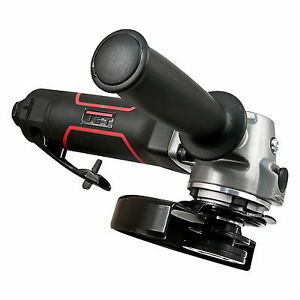 Several improvements are being done to various power tools in the industry. Acquiring the most advanced tools will be a beneficial venture to harness the advantages of the improved model. Professional contractors that want to do the job faster without tiring their workers or exposing them to unnecessary danger will love these new tools. Homeowners of power tools may also love the new tools since they work better, and they are more flexible than their traditional counterparts are.